Paul Haydock, CEO and founder of Fintech business DueCourse, discusses the increasing number of accountants taking a more progressive approach to looking after their clients. Accounting is changing. Shaking off its established way of doing things, the industry and the individuals within are becoming ever more progressive and innovative in their approach; something which is proving very beneficial to both accountant and client. Not content with the status quo, accountants are seeking out fresh ways of adding extra value to their clients by adopting new technology and using this to evolve their offering. 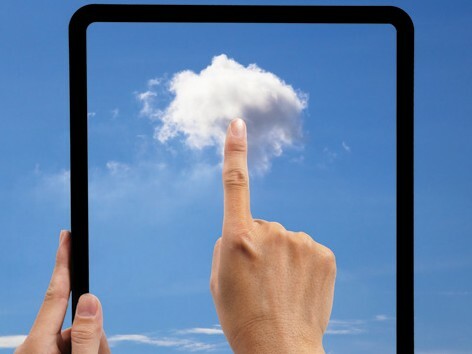 Innovative cloud accounting platforms have paved the way for accountants to expand the services they offer, while increasing efficiency at the same time. With the latest forms of cloud accounting software, accountants and SME owners can manage everything from inventory and invoices to payroll and expenses all in one place and in just a few clicks. The difference in speed, accuracy and efficiency is stark, leaving more accountants keen to make the switch and evolve their approach to business. Cloud accounting software also carries another progressive feature: the ability to seamlessly link up with other cloud business apps and services. This feature opens a great many doors for accountants and the businesses they work with, offering even greater opportunities for business efficiency and effectiveness. Forward-thinking accountants want to demonstrate that they are innovative, progressive and able to save current and future clients time and money, but also to help them grow their businesses. The leading-edge practices will be taking this one step further, filtering through the available cloud app add-ons and related services, and recommending these to their clients in addition to their existing offer. In doing so, accountants are able to build these “packages of best-practice” into their offering, and provide advice and service together as one overall solution. Champion Accountants, a leading accountancy group specialising in the SME sector, are big believers in the benefits of cloud technology. Danny Evans, client manager at Champion Accountants, said: “Our accountancy group is going through a huge transition in line with technological developments and we now offer tailored cloud accounting solutions to our clients as an alternative to more traditional techniques. Business owners often seek accountants who are specialists in their industry sector, with accountants often choosing to work within their own vertical sector, rather than opting for the broad approach. They therefore have the ability to search the app add-on marketplace for the best add-on apps and services that they feel would benefit their clients in that specific sector, demonstrating a forward-thinking, helpful attitude towards clients. Accountancy firm, My Accountancy Place, is one such firm that operates in this way. Managing director, Paul Barnes, said: “The expectations on accountants is changing. Small businesses expect their accounting firm to bring growth advice, cash flow improvements and tax planning to their business. Working to address the changing needs of businesses is the best way for accountancy practices to stay relevant in their highly competitive industry. Broadening their offerings is just the beginning; accountants and Fintech companies will continue finding new ways to help each other meet the needs of clients as technology and attitudes evolve. Paul Haydock is CEO and founder of Fintech business, DueCourse.